Sofrito is herbaceous, fresh, and flavorful. It’s the foundation to many Hispanic dishes y el secreto del Caribe! (The secret of the Caribbean) It’s quick and easy to make requiring no cooking at all. Therefore, it’s a great recipe for my seasoned and novice cooks. Aplauso! This seasoning base elevates any dish you make whether it’s a traditional Hispanic recipe or your own everyday remixed dish. There are many different versions of it and if you grew up Hispanic, I’m sure you know someone who it makes with tomatoes and others who add habaneros. Every now and then, I switch it up and add pimento peppers but that’s a different recipe for a different day. The recipe below is fairly traditional with little to no frills. It’s a straight forward good ol’ sofrito recipe that delivers bold garden fresh flavors. 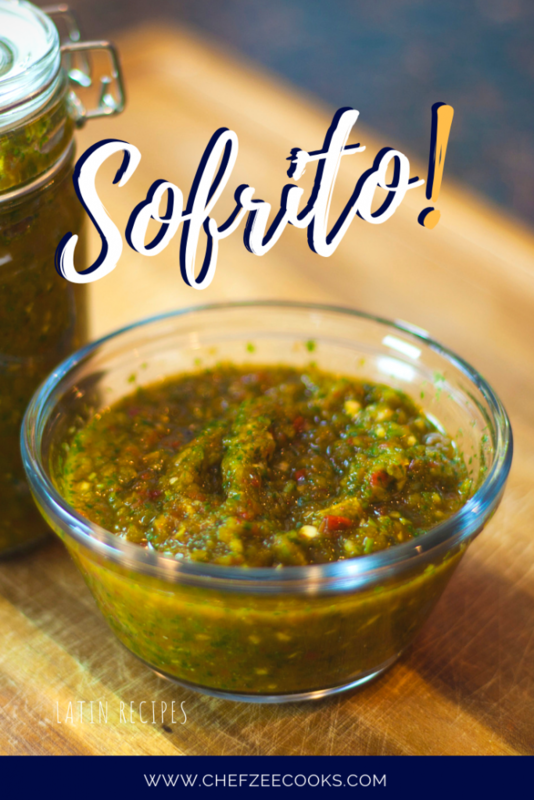 If it seems like the directions to sofrito are understated and easy it’s because it is simply that easy to make sofrito. You can find all of the ingredients in your local grocery store with the exception of culantro. This one may be a little harder to find (sorry!). Feel free to alter this recipe to your taste. 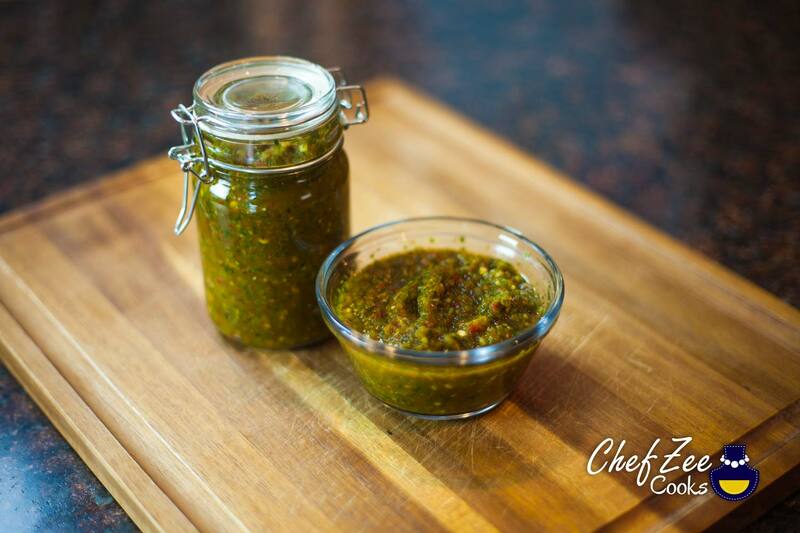 For example– I love, love, love a garlicky sofrito but depending on my mood and possible date night, I may opt for a subtle sweet peppery sofrito. Meanwhile, my aunts love to hype up the onions while my mom prefers a more acidic sofrito with paprika. My grandmother would beef up the seasoning by adding much more salt, thyme, oregano, and pepper. The key take away is that sofrito is versatile and customizable so have fun with it—live a little! Remember, that the fresher the ingredients, the better. Got fresh ingredients about to go bad? No worries, make sofrito and freeze in small batches. Problem solved. My advice to you is to be mindful of how salty you make your sofrito because you want to use this to season a variety of dishes. Making it too salty out of the gate limits what you can marinate. Lastly, while sofrito is flavorful it’s usually just a seasoning base and one that you can build upon. Don’t be bashful and think that just because you’re using sofrito that you can’t add some paprika, more garlic or cilantro. Take a deep breath and go for it y echale sin miedo! Enjoy! Don’t forget to Pin the yumminess to your Pinterest boards! 1. Wash all of your ingredients and rough chop them. Nothing fancy. 6. Use freely as needed to season meat, fish, beans, veggies, and rice! Hey! I just saw your comment on my YouTube channel. Thanks for watching!